Worrying about what to do during school vacations? Don't worry, School Vacation Camp has got you covered. Enrollment is always flexible to fit your family’s plans and needs. The early bird discount for April Vacation ends on March 22 and for Passover Vacation on April 2, so don't delay! 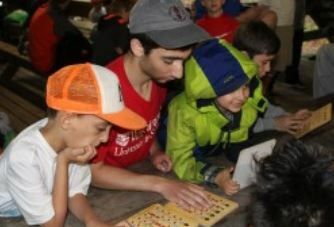 Camp runs during the week-long breaks for April and Passover Vacations. Kids get to choose up to three electives daily with choices including; sports, swimming, arts & crafts, dance, board games and more. During the week there is a different special highlight each day making each week unique and fun! *Please note that Friday, April 19 is a half day due to Passover and no lunch will be served.